If you spend a lot of time on Instagram, you’ve no doubt come across live videos. 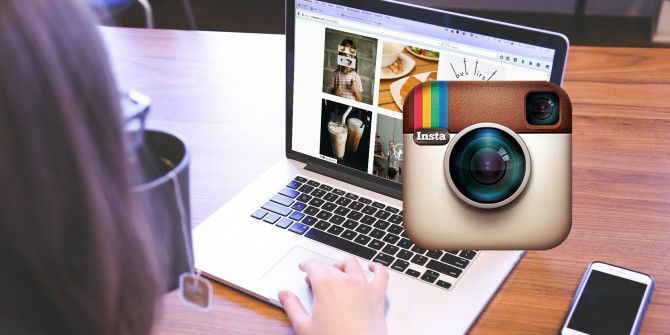 If you’d rather watch a live video on your computer as it’s being broadcast, logging into your Instagram account in a browser won’t be any help. Instead, you’re going to need a Chrome extension to view Instagram live videos in your browser. You’re going to specifically need the Chrome extension Chrome IG Story [No Longer Available] to view live videos from Instagram accounts you follow. If you know someone you follow is going live, open up Chrome IG Story in your Chrome browser, and the live video will show up straight away. If the accounts you follow aren’t live, you can check out some of the popular live videos on Instagram at any given time. In addition to watching live videos, you can also keep up with your friends’ Instagram stories. While you can also easily view Stories on the Instagram website without the need for an extra extension, there are some advantages to using this extension. You can take your time going through the posts, as they don’t automatically switch to the next post. Instead, you hit the next button to skip to the next image. You can also view stories and live videos anonymously. According to the developer, you won’t show up on the list of users who have viewed the story or video How to See Who's Viewed Your Instagram Stories and Live Videos How to See Who's Viewed Your Instagram Stories and Live Videos When it comes to Instagram stories and live videos, you can tell exactly how many people have viewed it, along with who has seen it. Read More . Other features of the extension include search by hashtag or location, the ability to download stories or videos, and the ability to view stories and videos of users you don’t follow. Chrome IG Story is just one of many apps you can use alongside Instagram 5 Additional Instagram Apps Everyone Should Be Using 5 Additional Instagram Apps Everyone Should Be Using It turns out there are other Instagram apps out there, and they're good. Read More to get more out of the photo-sharing app. Explore more about: Browser Extensions, Instagram.